I came up with the idea of dresing up as Bumblebee while playing a transformers videogame. I though that is would be great fun to make a costume that actually transformed, it took me approximatly a month and a half to build. I made the costume out of recycled cardboard boxes and I stuck it together with duct tape and glue. 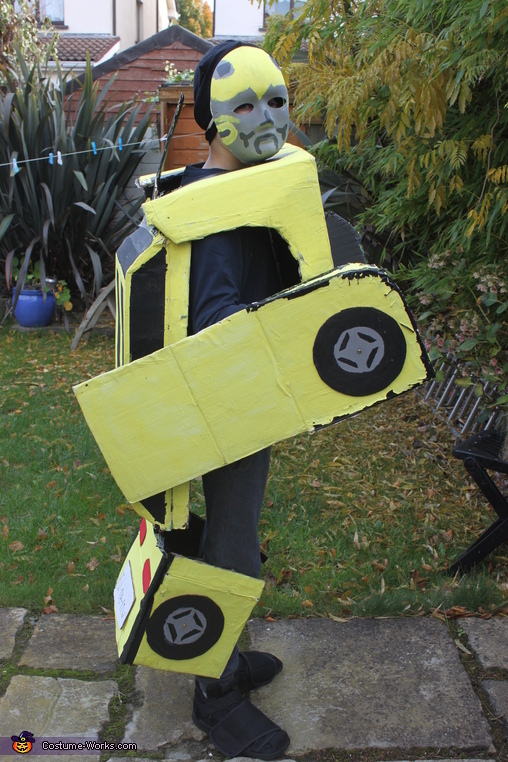 ?I then bought the paint for $8 and through trial and error I made a transforming Bumblebee costume.